holders, vintage bird cages, flickering tea lights and much more. Add candle lit lanterns to outside spaces to set the scene of romance. We have a wide range of finishing touches. Crystal and diamante tealight holders available in 24cm and 30cm. 8 hour tealight provided. Diamante pillar candle holders available in 24cm and 31cm. Pillar candle provided. 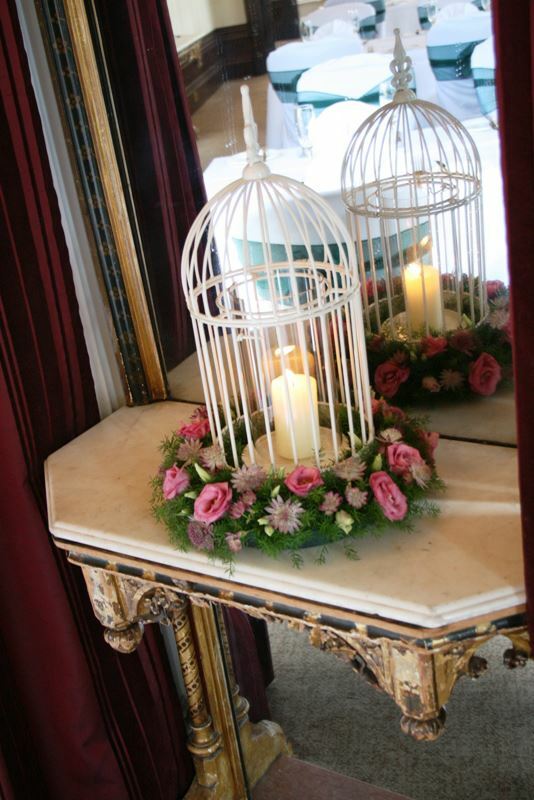 Cream vintage bird cage candle holders available in 42cm. Use as a table centrepiece decorated with flowers and butterflies. Pillar candle provided. White moroccan lanterns available in 40cm. 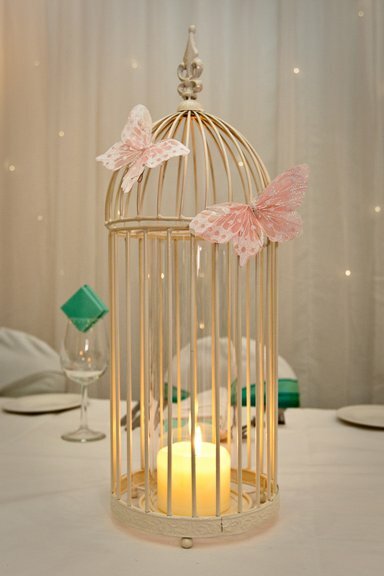 Chic but elegant lantern comes with a pillar candle and can be used as a table centrepiece or to decorate your aisle runner. White hexagon lanterns available in 38cm. Suitable for indoor or outdoor use. Frosted votives on an oversized mirror with table scatter crystals. 8 hour tealights provided.